Travelling west along the Interstate 20 through Indiana, there is a choice. 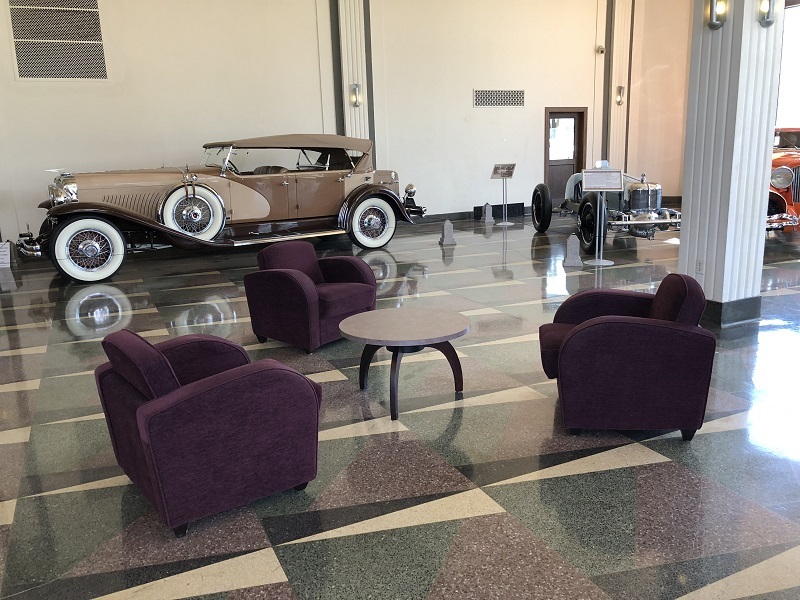 Go to South Bend, for all things Studebaker, or turn south to Auburn where the rumours tell us that there is really good car museum. Auburn was chosen. 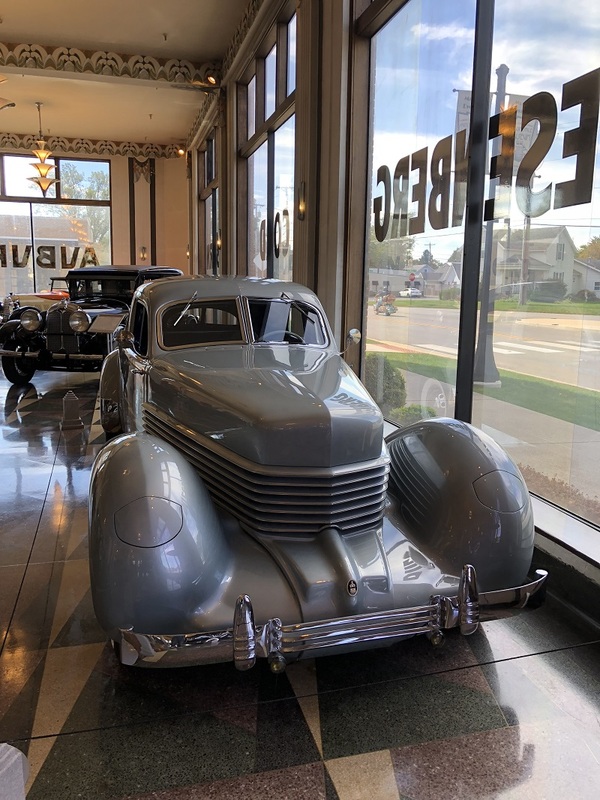 This beautiful car sits perfectly in its Art Deco setting, from the Jazz-pattern floor to the outrageously stylish lights. 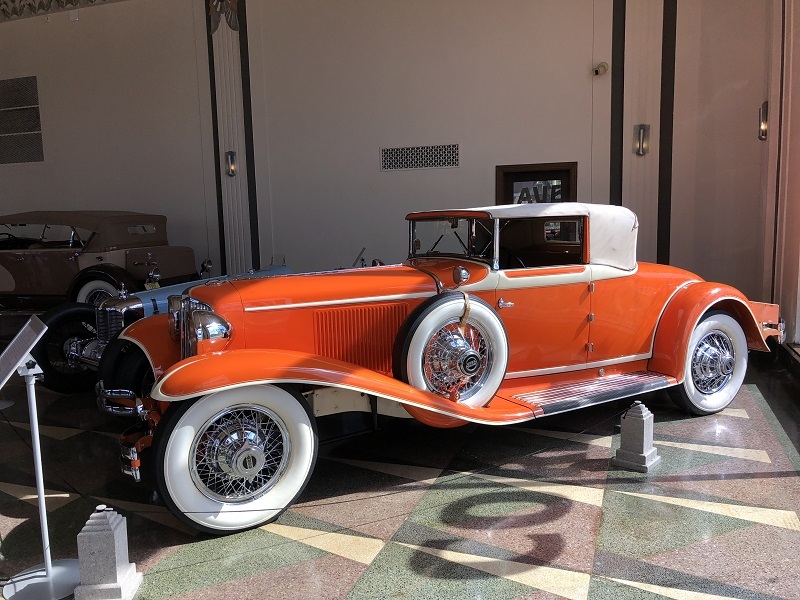 Donated by the estate of the Texas engineer who restored it, it is an excellent example of the almost mythical Duesenberg. Straight-eight, twin-overhead-cam 420-cubic-inch engine with 265 horsepower. There is a strong racing heritage: in 1930, five Duesenbergs were entered in the Indianapolis 500, with Peter DePaolo finishing fifth. 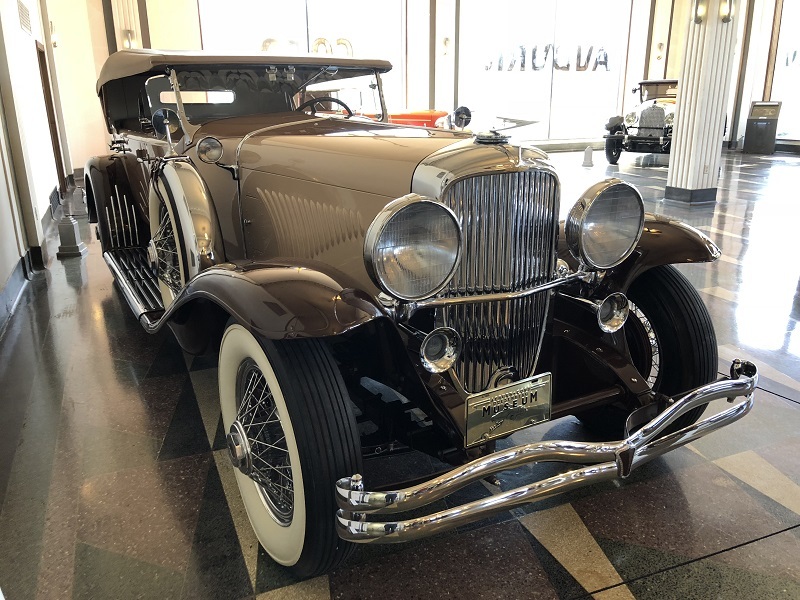 Sometimes referred to as a ‘Baby Duesenberg’. 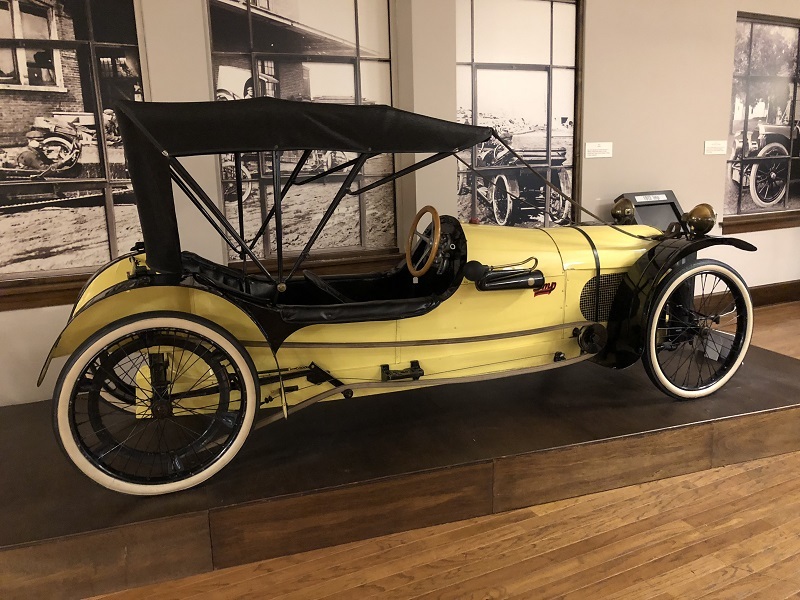 Auburn attempted to counter the challenge of the depression by creating a stylish and innovative car at an affordable price. The designer Alan Leamy was responsible for the styling of this model. It boasts a 100 bhp, 268.6 cu. in. 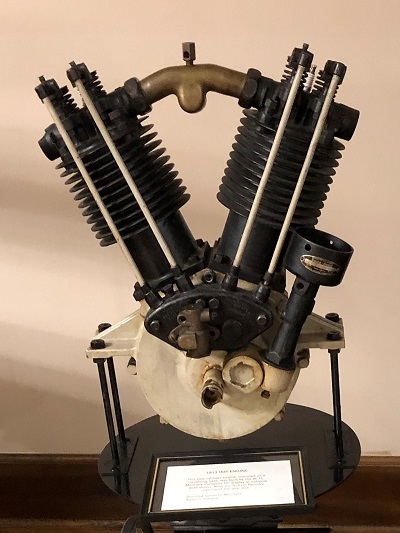 L-head (side-valve) inline eight-cylinder engine made by Lycoming, and a three-speed manual transmission. There really is not a lot to say. Just look at it. 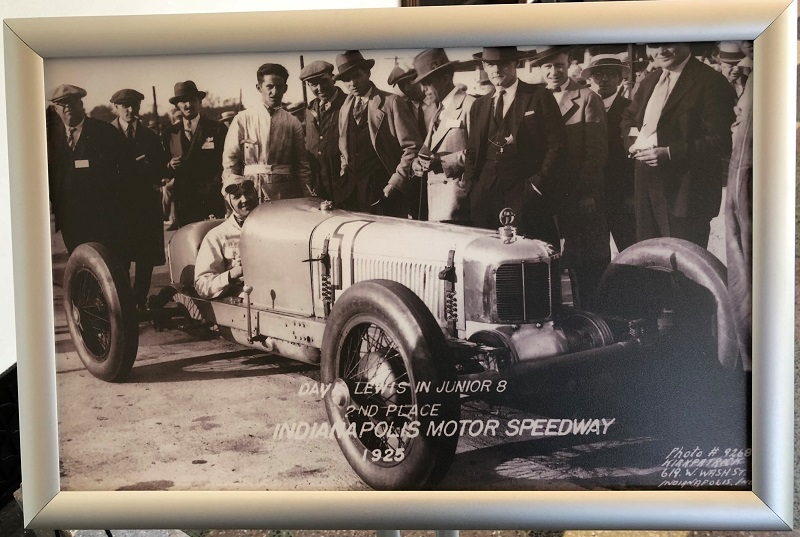 If you must have some information: following the initial success of Harry Miller’s front-wheel-drive racing car in the 1925 Indianapolis 500-mile race, E L Cord approached Miller with the idea of using front-wheel drive in a road car. The L-29 was introduced in August of 1929. 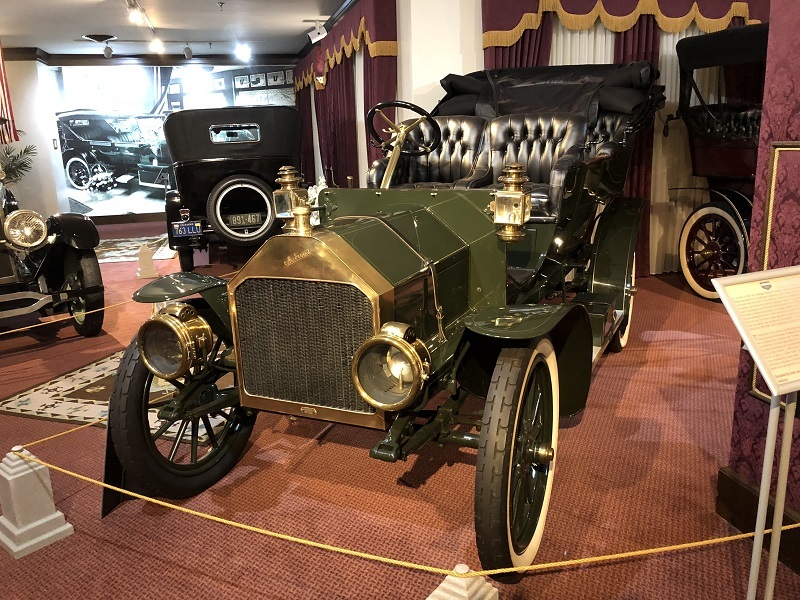 It became America’s first successful mass-produced front-wheel-drive car. The elimination of a transmission tunnel allowed the car to sit eleven inches lower than similar automobiles of the day. Alan Leamy was thus able to design the low, sleek body. 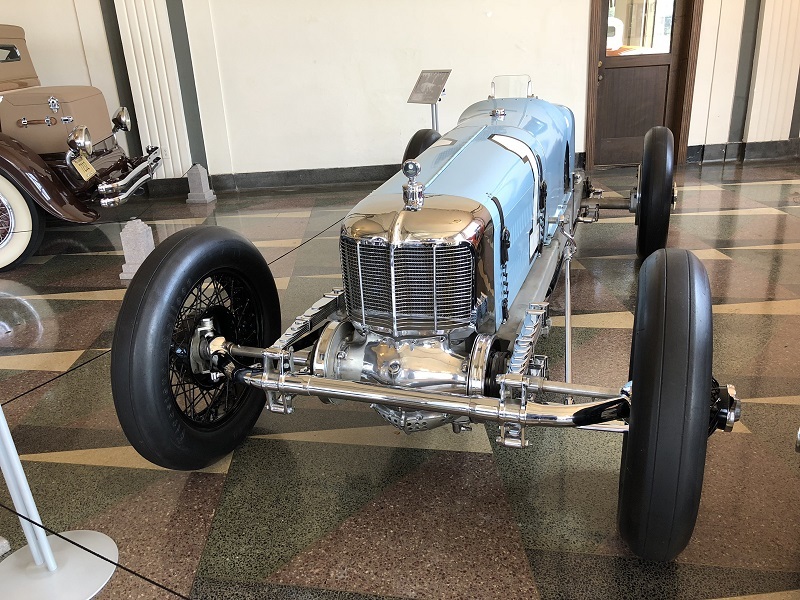 This is the front-wheel-drive racing car that inspired the Cord L-29. It was designed by Harry Miller for the 1925 Indianapolis 500-mile race. 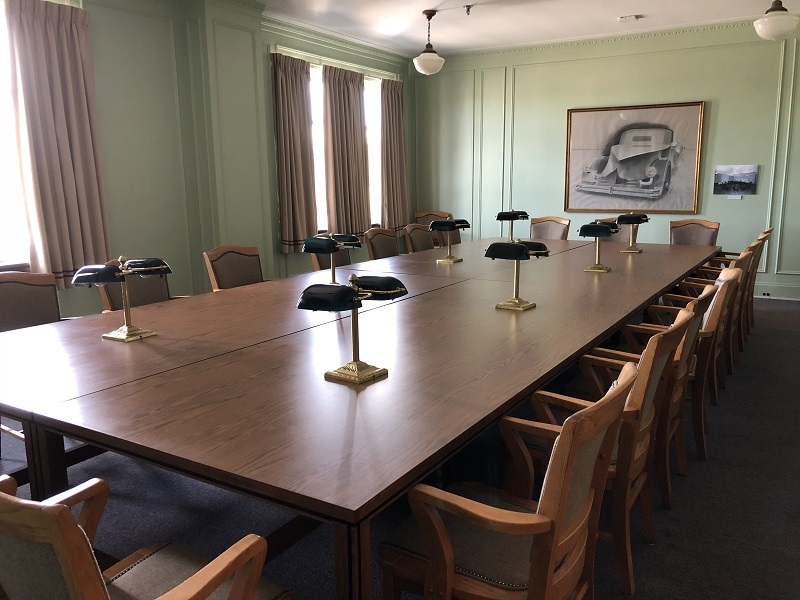 Sixteen of the twenty-two cars entered were Millers and four were Duesenbergs. This Miller finished in second place with an average speed of 100.82 miles per hour, just behind winner Peter DePaolo in the No. 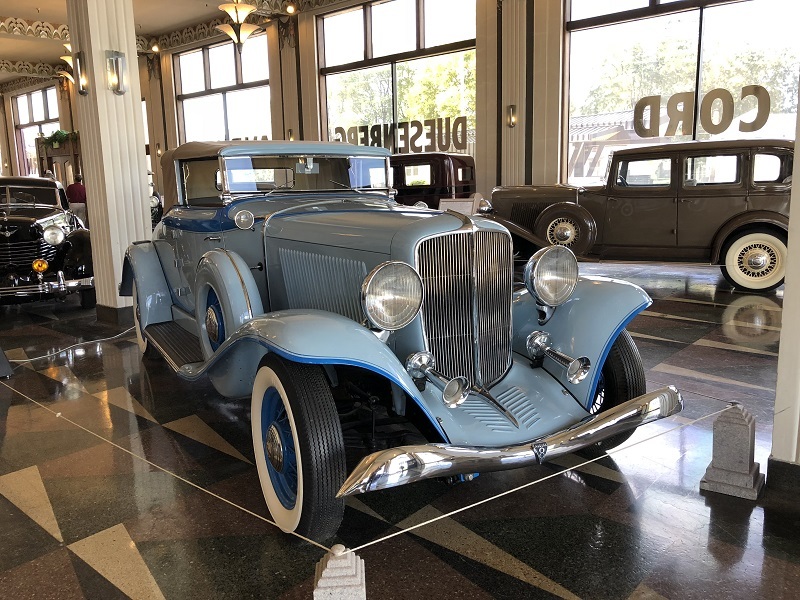 12 Duesenberg. It is powered by a Miller-built 121 cu. in. 200-horsepower supercharged straight-eight. 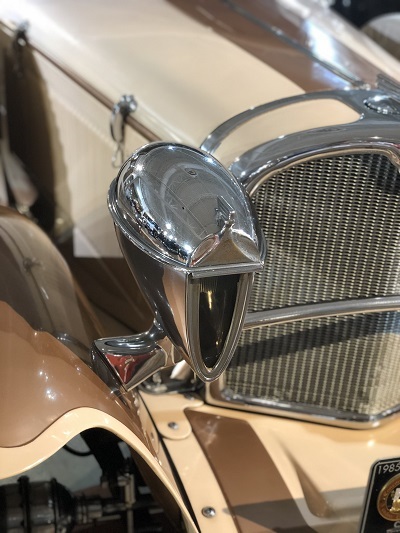 The theme of the whole museum is that of innovation and engineering excellence – so this Tucker fits the brief perfectly. 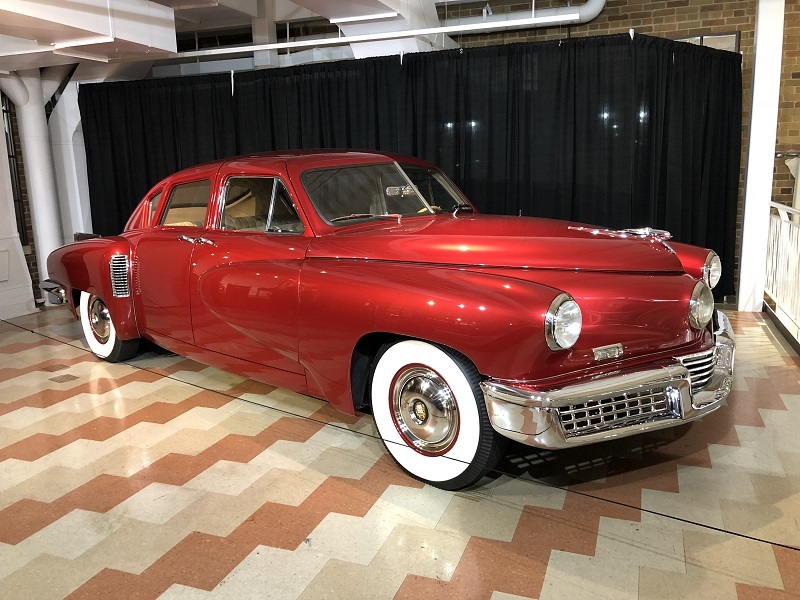 The 1948 Tucker was advertised as “The First Completely New Car in Fifty Years!” It was indeed one of the most advanced post-war cars. Former Auburn designer Alex Tremulis created the futuristic styling. This Tucker is No. 52 of 51 Tuckers built (! ), being created from remaining parts after closure of the factory. Tuckers all had pop-out safety windscreens, padded dash and door panels, and a passenger crash chamber. A centre headlight turned with the wheels to light around comers. They used re-manufactured Cord vacuum-electric pre-selector four speed transmissions from the Cord 810 and 812. The engines were seriously out of the ordinary: rear-mounted “Franklin 335” helicopter engines from the famous builder of air-cooled cars and engines – but for no apparent reason converted to water cooling. On the top floor is a substantial collection of older Auburn cars. This Model G is one of 356 cars built for the 1908 model run. It has a two-cylinder water-cooled opposed-piston engine of 216 cubic inches displacement, producing 24 horsepower, and two-speed and reverse gearbox. 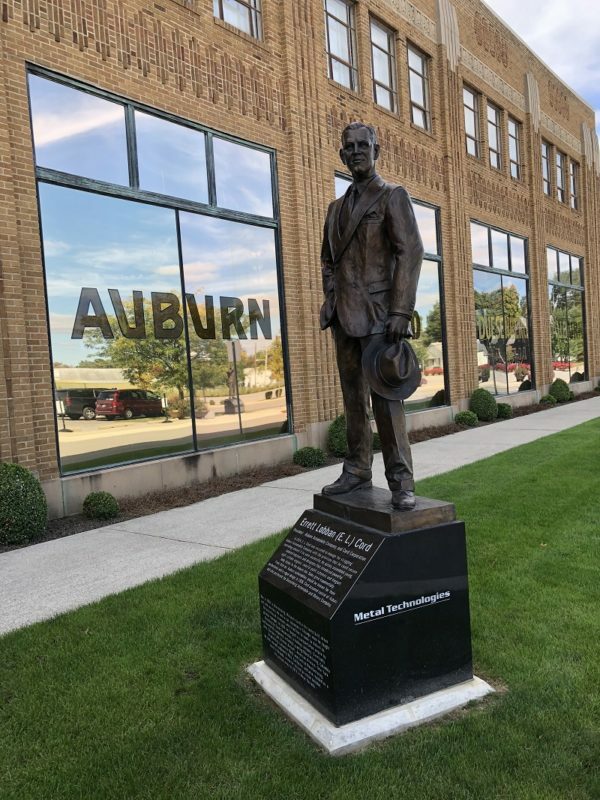 The Hall of Technology showcases Auburn/Cord/Duesenberg innovations that might be less well known. During World War 1, Duesenberg was awarded a contract by the US Government to develop a powerful aero engine. 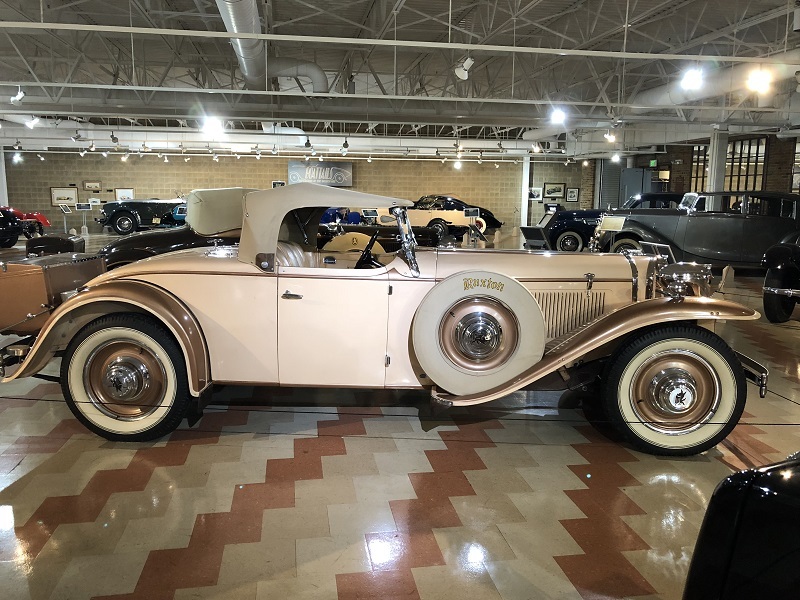 Designed by the Duesenberg brothers and their engineering team, that included Cornelius Van Ranst, four prototypes were built. Full of innovative features, it was highly efficient, with a weight-to-power ratio of less than two pounds per horsepower. It was, however, never fitted to an aircraft: the war ended before it could go into production. This 800 horsepower engine has a capacity of 3,393 cubic inches – 55.6 litres. 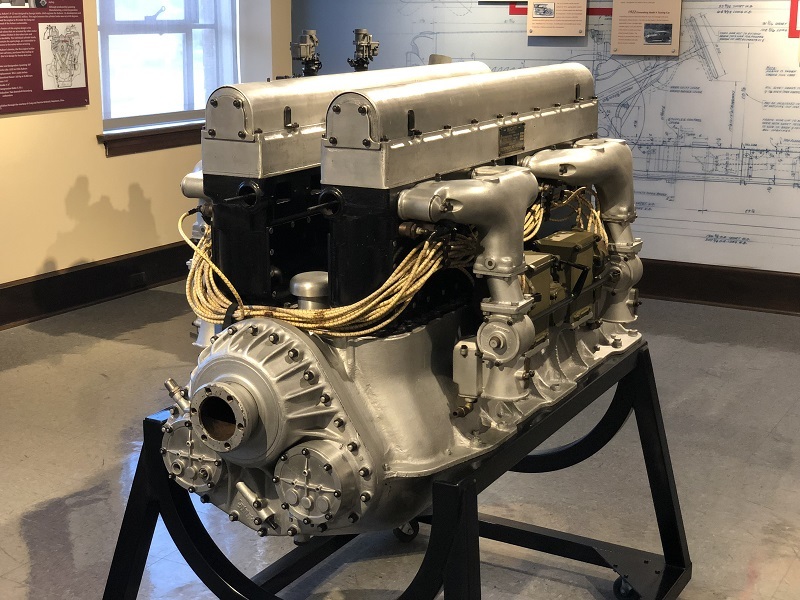 The legendary U-16 Bugatti engine was known to be further developed and improved in the USA, but we never thought that we would see one. A US committee was charged with obtaining European aeronautical technology during World War l, and selected this engine. 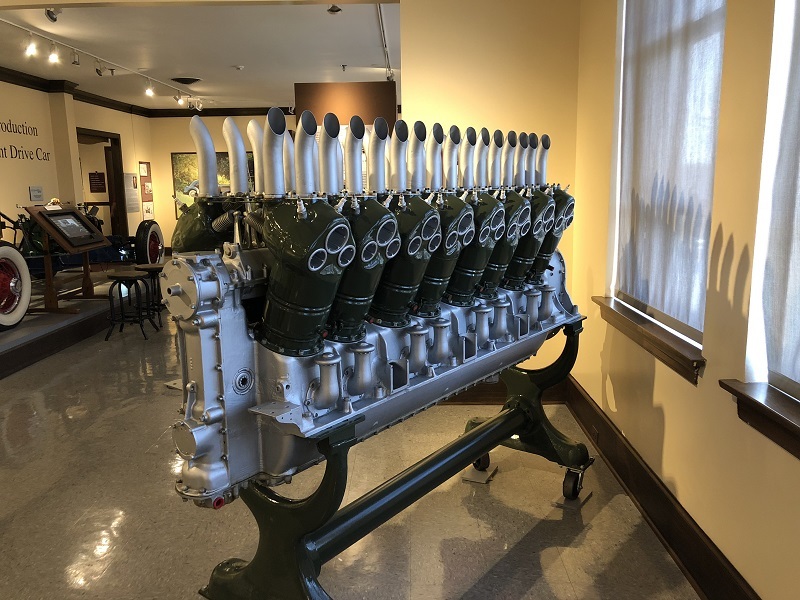 Duesenberg Motors Corporation received a US government contract to produce 2,000 of these engines, their largest war contract. The engine is commonly referred to as a U-16 as its configuration resembles a U; it is two straight-eight engines sharing a common crankcase, geared together to drive the hollow propeller, through which a 37-mm cannon could be fitted. The imported sample needed to be redesigned for reliability and adaptation to American production methods – a task given to project engineer Charles King. Changes included conversion to a pressure lubrication system, improved coolant circulation and improved crankshaft bearings. The war ended in November 1918 before production started. 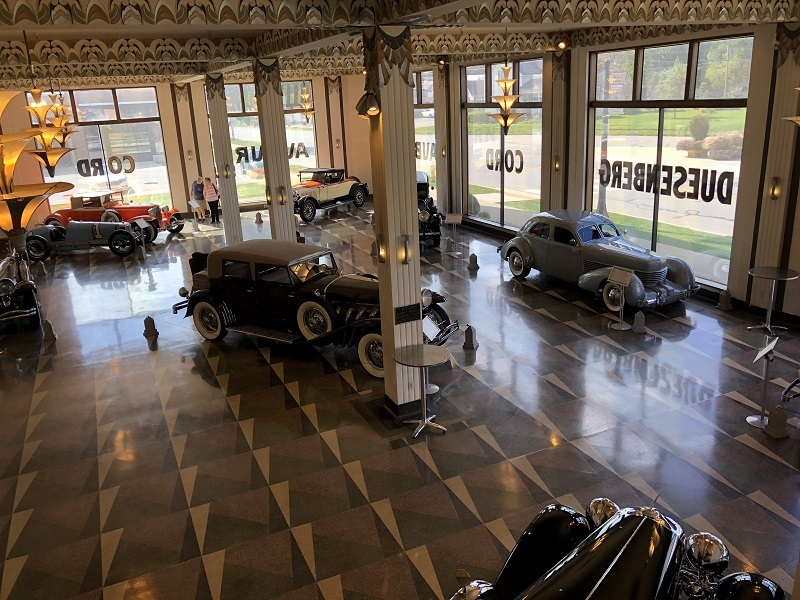 The top floor has a wonderful collection of cars made in the state of Indiana. Our favourite among many was this little 1913 Imp. The tandem seating is quirky and delightful, but perhaps rather uncomfortable. The Imp Cyclecar was produced from 1913 to 1915. It was powered by an air-cooled vee-twin engine of 15 horsepower, driving through a friction transmission to a belt drive. It was the first automotive venture of William B Stout, later to build the Ford Tri-Motor aeroplane and the Stout Scarab. Stout sold the idea to the W.H. McIntyre Company of Auburn, Indiana, which set up a new division, the Imp Cyclecar Company. Fewer than 1,000 of these cars are thought to have been produced. 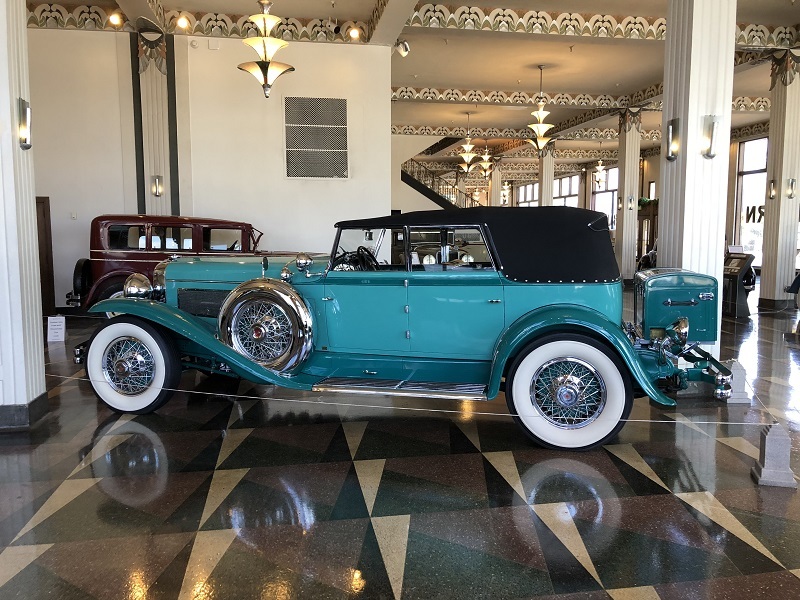 Made in the last year of Stearns-Knight production, this car features a five-passenger coupé body by Robbins of Indianapolis. The Stearns-Knight was a high-priced and high-quality car produced in Cleveland, Ohio. Stearns became the first American car to use the sleeve-valve Knight engine in its vehicles in 1911. The company was sold in 1925 to John North Willys, who made it the luxury marque in his Willys-Overland empire. It has an in-line six-cylinder engine of 255 cubic inches, producing 70 horsepower. This is a real rarity. The Ruxton was a front-wheel-drive competitor to the L-29 Cord. It is an extremely low-slung car, with its bonnet line only just above its sweeping wings. Many Ruxtons featured the exotic (but barely adequate) Woodlite headlights – and this car is no exception. It is lower, lighter and better balanced than the Cord – and achieves that balance by splitting the transmission: low and reverse gears in front of the differential and second and third gears behind it. 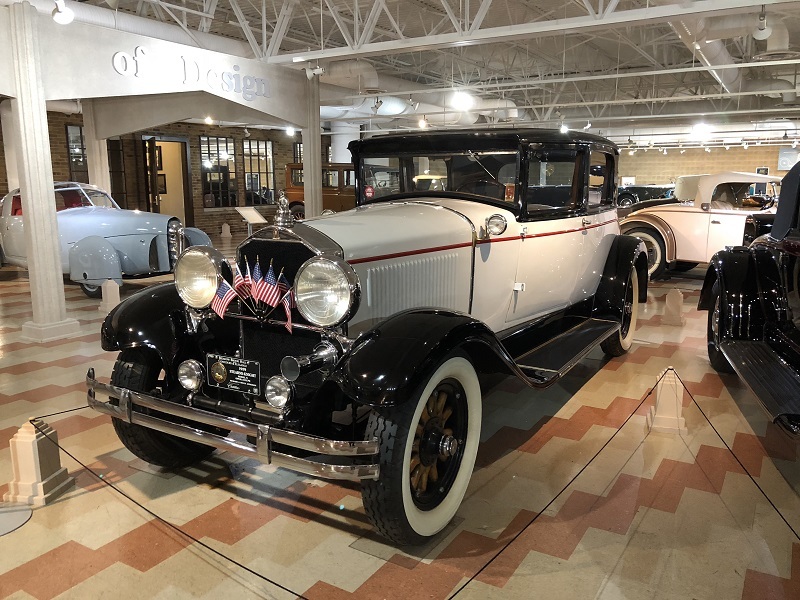 We are very grateful to Brandon J. Anderson, Executive Director & CEO of the Auburn Cord Duesenberg Automobile Museum, for giving us his permission – indeed his enthusiastic support – for us to post these photographs from the museum. We only hope that we have done justice to the quality of custodianship we saw there. My very favorite auto museum. I have been here many times going back to the early eighties. 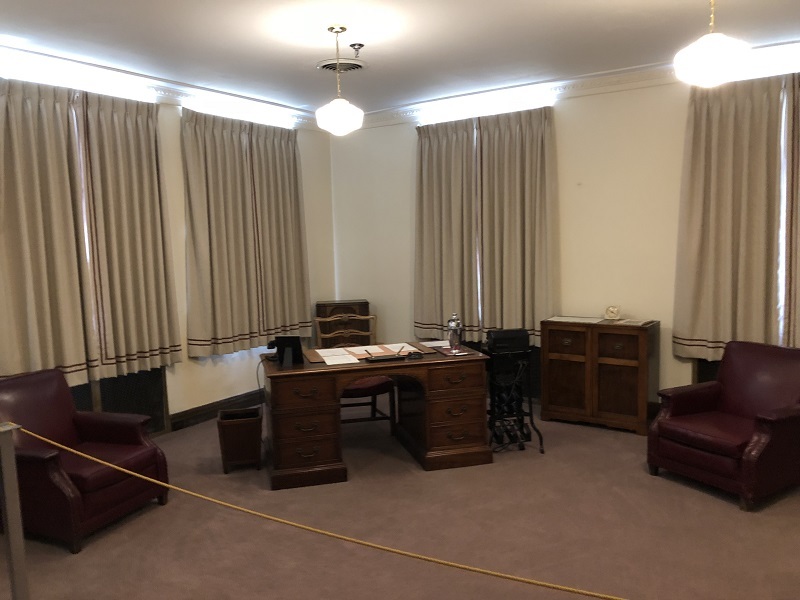 The museum just keeps getting better.